The City of Hamilton has created the best tasting water in the world using groundwater from the Great Miami River Buried Valley Aquifer. The city received the gold medal for Best Municipal Water at the 25th anniversary Berkeley Springs International Water Tasting in West Virginia held in February. What is this “aquifer” anyway? Think of the Great Miami Buried Valley Aquifer as a giant container with porous sand and gravel that can trap and hold water. Have you ever poured a bucket of water into sand? The sand absorbs the water quickly and it disappears from sight. A sand and gravel aquifer soaks up water in a similar way. Where is it and where did it come from? The buried valley aquifer generally underlies the Great Miami River and major tributaries such as the Stillwater and Mad rivers and Twin Creek. 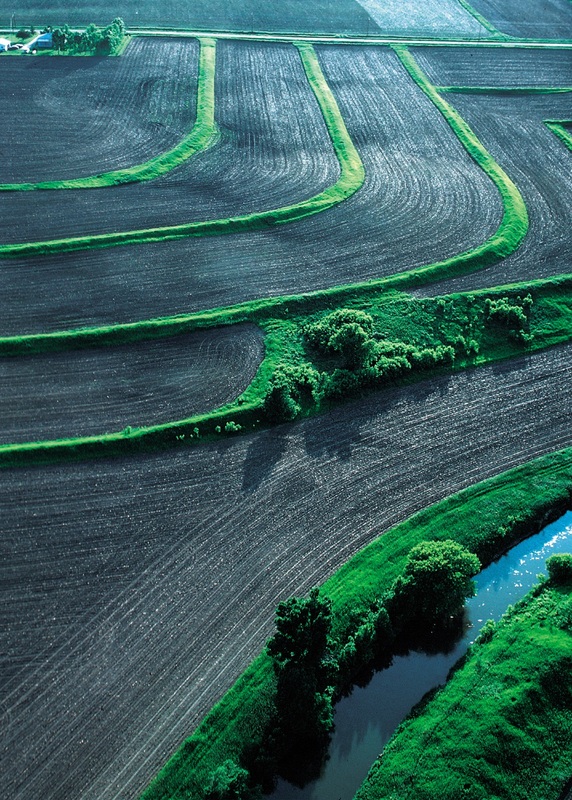 The sand and gravel deposits that make up the buried valley aquifer were deposited by ancient rivers that existed before the present day Great Miami River took shape. These ancient rivers carried large amounts of water from melting glaciers during the end of the last ice age. Map showing the location of the buried valley aquifer (light blue) in relation to the Great Miami River drainage area. 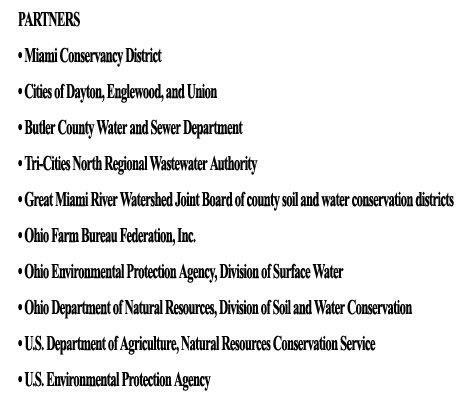 The buried valley aquifer is the most productive aquifer in the Great Miami River Watershed. Municipal drinking water wells, like the city of Hamilton’s, can sometimes yield more than 3,000 gallons per minute. In comparison, there are many places in Ohio where wells can produce no more than 25 gallons per minute and often fewer. Our region receives abundant annual precipitation in the form of rain and snow which resupplies the buried valley aquifer. The buried valley aquifer is able to absorb large quantities of water quickly. The groundwater in the buried valley aquifer interacts with the water in the Great Miami River and can supply each other with water. Most of the water pumped out of the buried valley aquifer is returned to the Great Miami River Watershed when wastewater is discharged in the streams and rivers. This offsets water losses that occur when some of the water is pumped out of the aquifer and released into another watershed. For example, groundwater is used in the production of beer, which could be shipped outside the watershed for purchase. 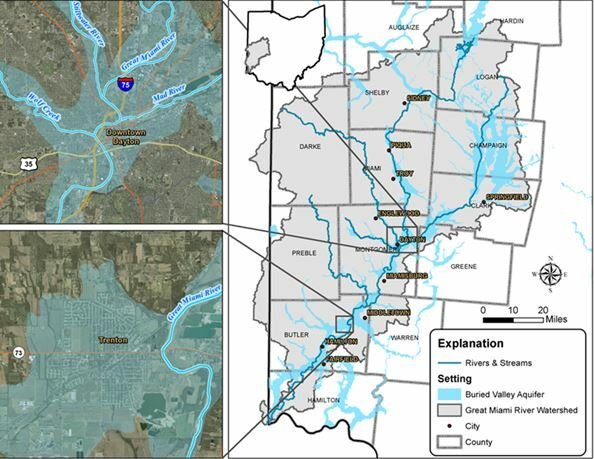 This graphic shows the interconnected nature of the buried valley aquifer and the Great Miami River. 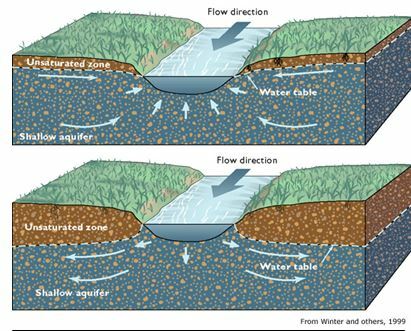 Water normally flows from the aquifer to the river (top), but flows often reverse during floods. 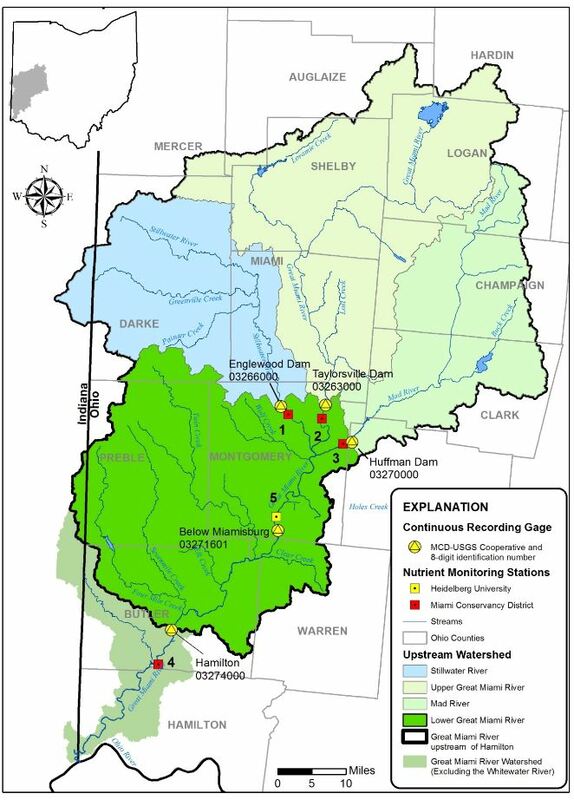 Provides our region with a safe and plentiful supply of water that can be treated to drinking water quality standards fairly inexpensively when compared with using water from a rive lake. The buried valley aquifer is our region’s #1 source of drinking water. 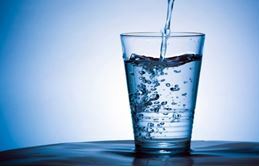 Supplies businesses and industry with a reliable supply of water. For example, the Miller Coors Brewery in Trenton uses water from the buried valley aquifer for its brewing process. 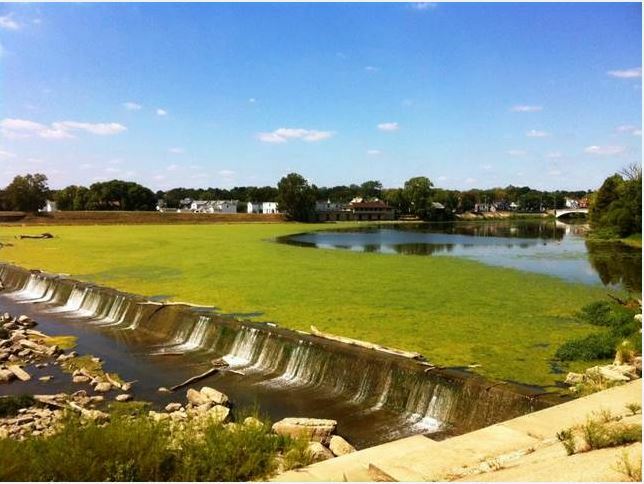 Improves the quality of life in the region by providing continuous flow to the Great Miami River even during dry periods. This flow sustains water for fish habitat and makes the Great Miami River attractive for kayaking and rowing. For example, nearly half of the annual water flow in the Great Miami River at the city of Hamilton comes from the buried valley aquifer. Provides potential geothermal heating and cooling opportunities. Groundwater in the buried valley aquifer remains around 56 °F year round and can be used by geothermal heating and cooling systems. If the water in the aquifer was polluted or depleted, our region would be less resilient in coping with drought conditions, seasonal water shortages might be more commonplace, and communities might have to pay for more expensive treatment to make the groundwater safe for drinking. . So, while the city of Hamilton’s water received the gold medal at the Berkeley Springs International Water Tasting, it’s clear our buried valley aquifer made the award possible. Yes, our buried valley aquifer is worthy of a top prize.